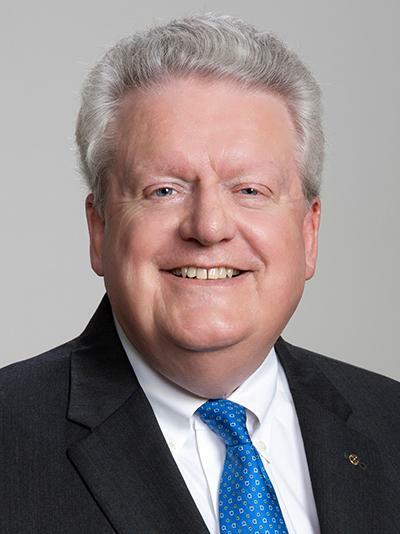 Daniel Maloney, of the Club of Decatur, Alabama, USA, is the selection of the Nominating Committee for President of Rotary International for 2019-20. He will be declared the president-nominee on 1 October if no challenging candidates have been suggested. A Rotarian since 1980, Maloney has served as an RI director; Foundation trustee and vice chair; and aide to 2003-04 RI President Jonathan Majiyagbe. He also has participated in the Council on Legislation as chair, vice chair, parliamentarian, and trainer. He was an adviser to the 2004 Osaka Convention Committee and chaired the 2014 Sydney Convention Committee. Prior to serving as a district governor, Maloney led a Group Study Exchange to Nigeria. He also served as Future Vision Committee vice chair; Foundation training institute moderator; Foundation permanent fund national adviser; member of the Peace Centers Committee; and adviser to the Foundation’s Water, Sanitation, and Hygiene in Schools Target Challenge Committee.